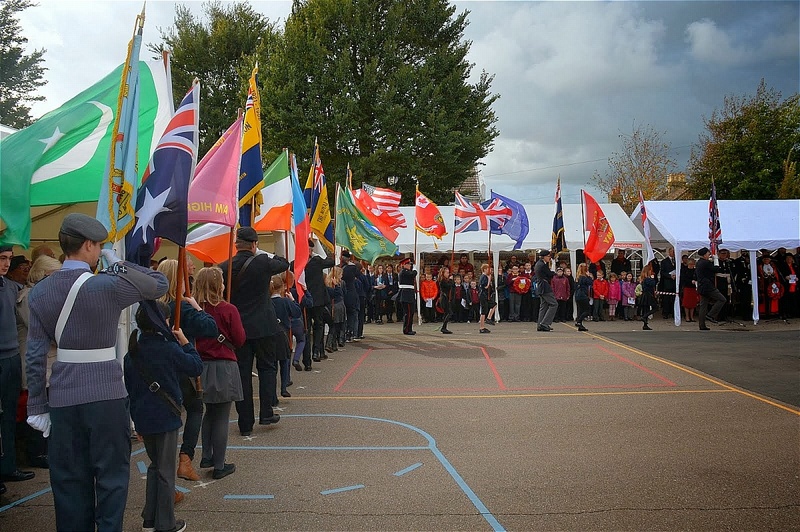 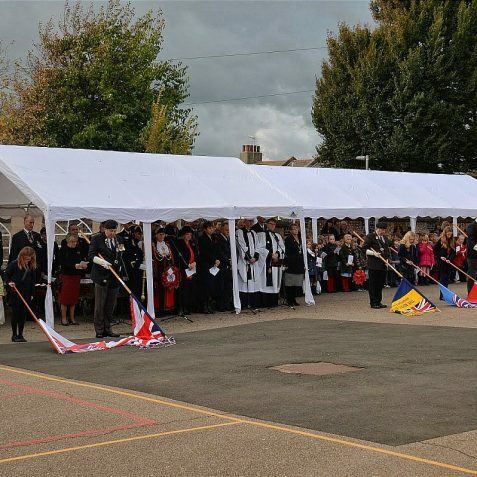 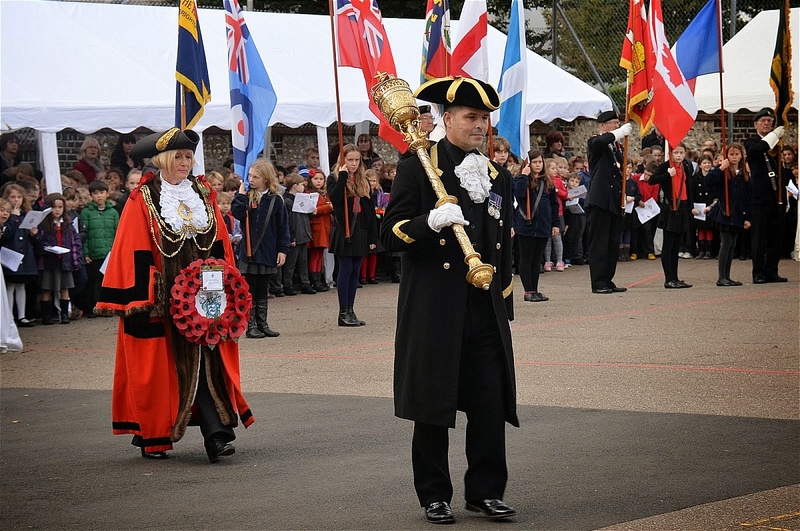 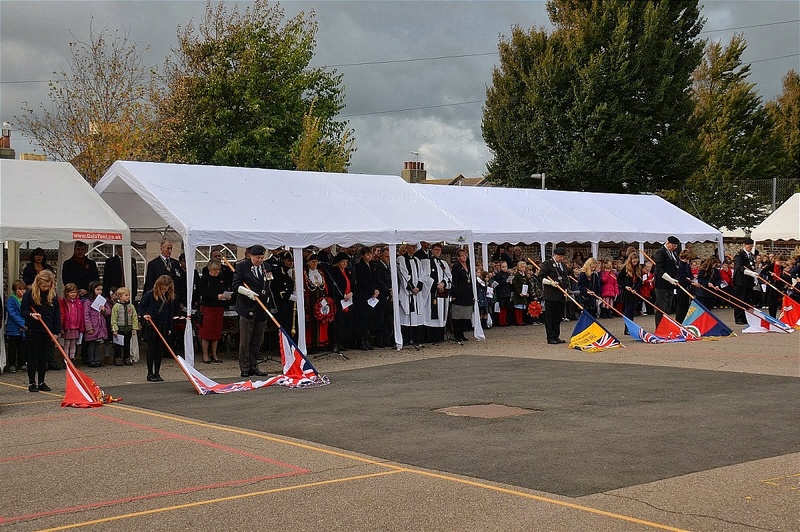 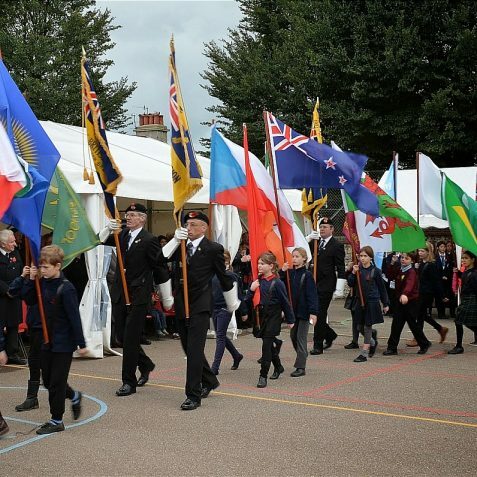 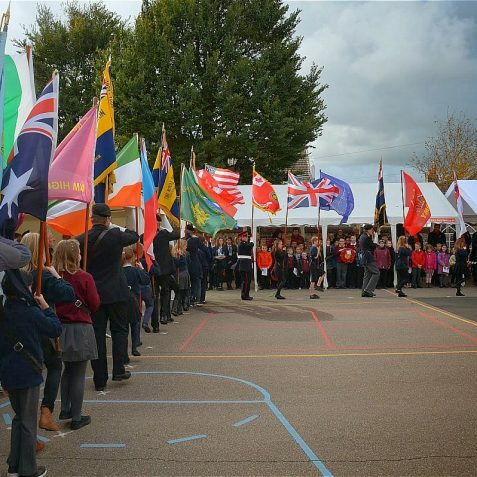 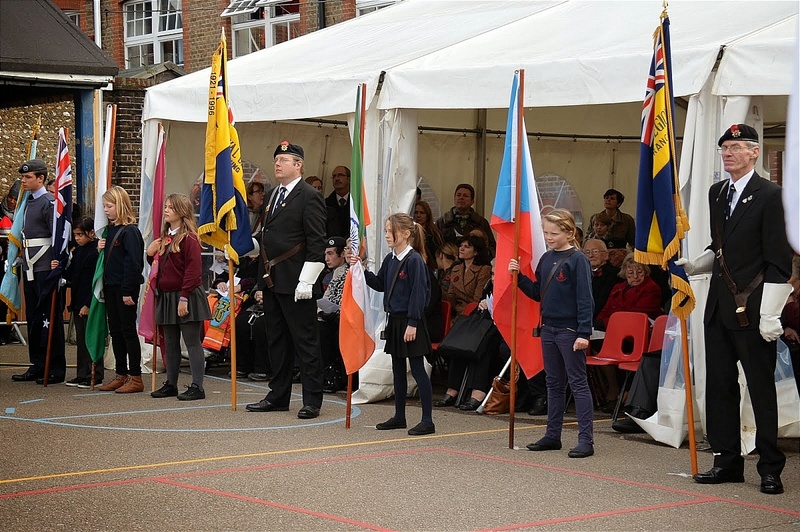 Downs Junior School in Rugby Road was chosen to host this year’s Schools’ Remembrance Parade and Service which was held on November 8th. 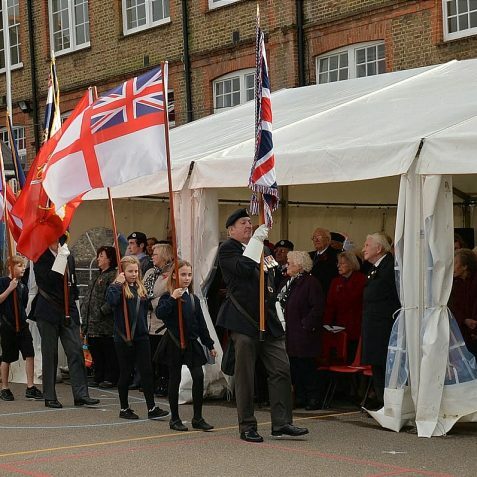 The school building is a well known local landmark and has links with WWII. 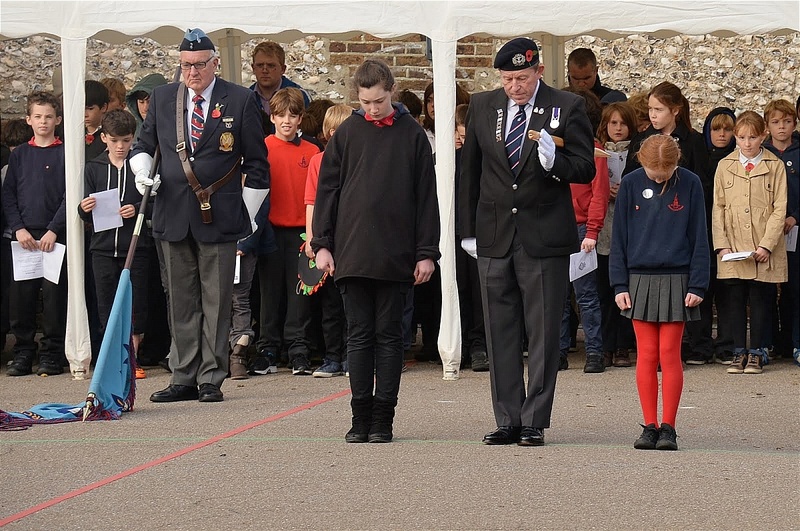 The air raid shelters under the school playground are still in very good condition considering that they are over seventy years old. 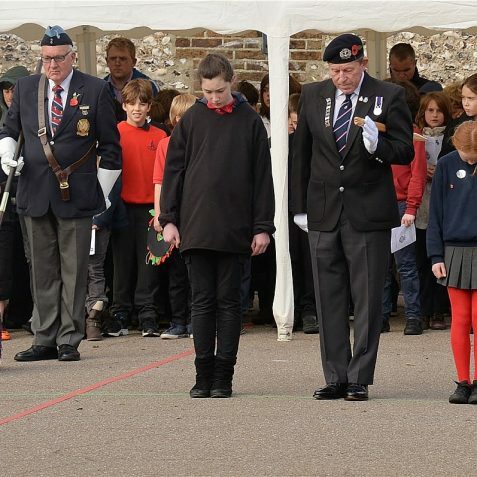 An important aspect of this remembrance service is that that it is a joint presentation between the Brighton and Hove Branch of the British Legion in association with the parents, teachers and children of the school. 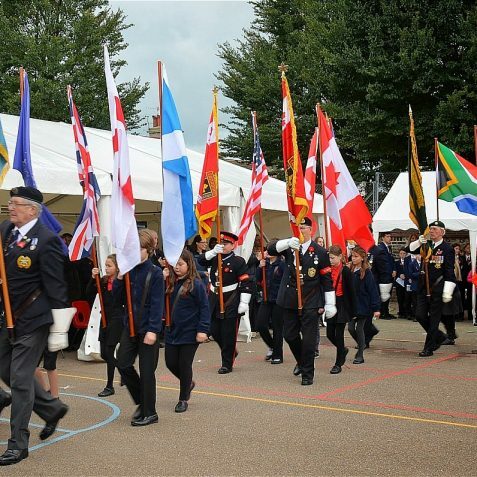 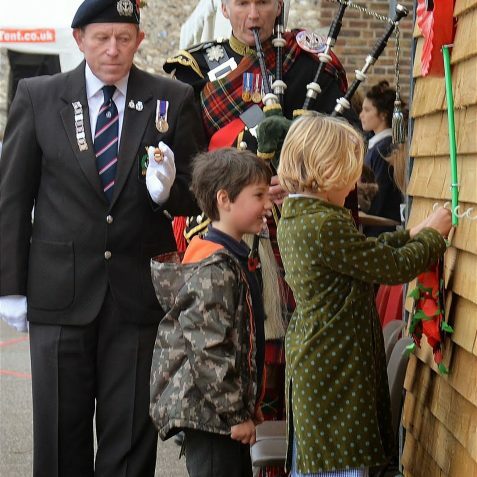 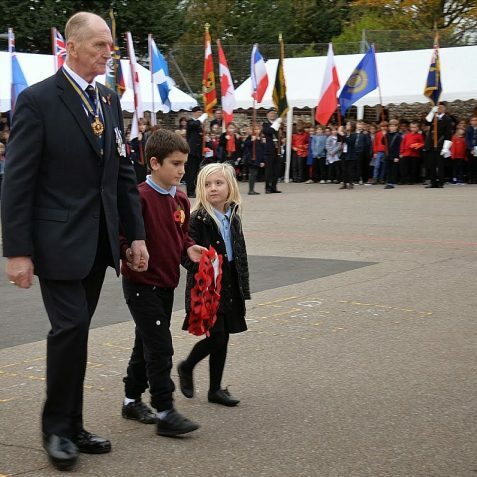 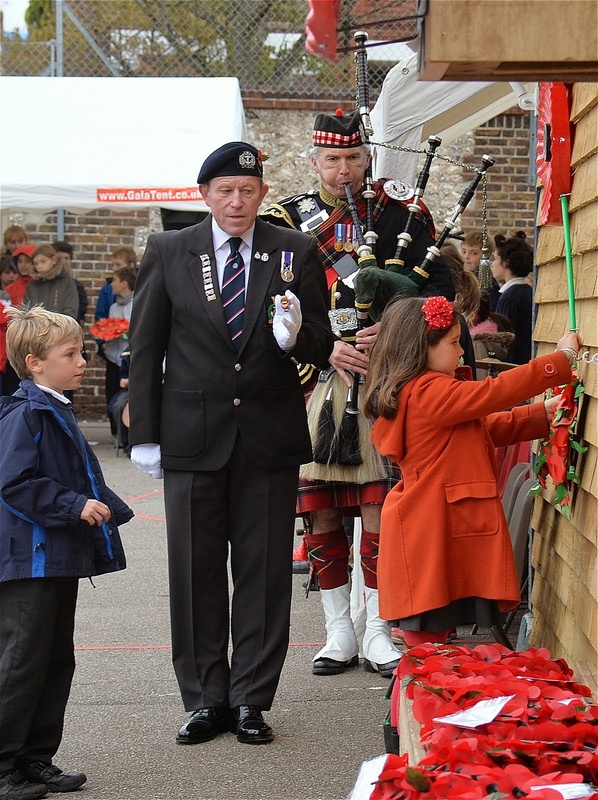 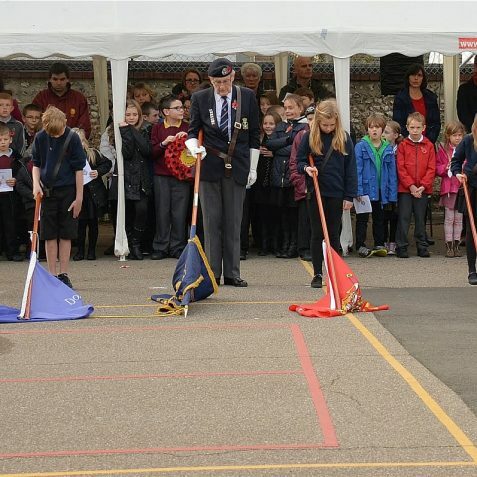 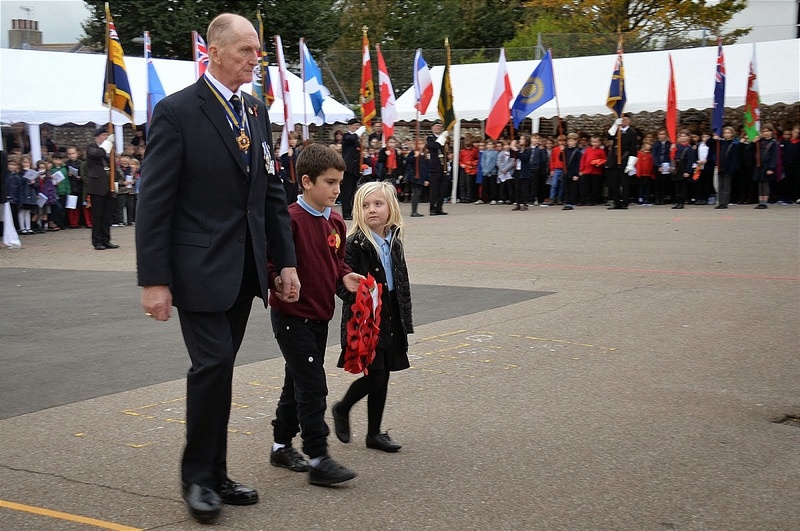 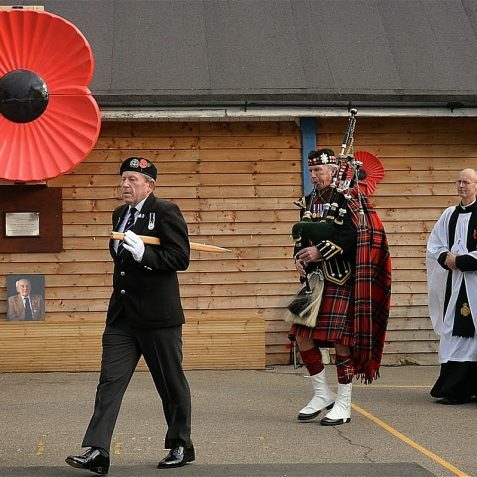 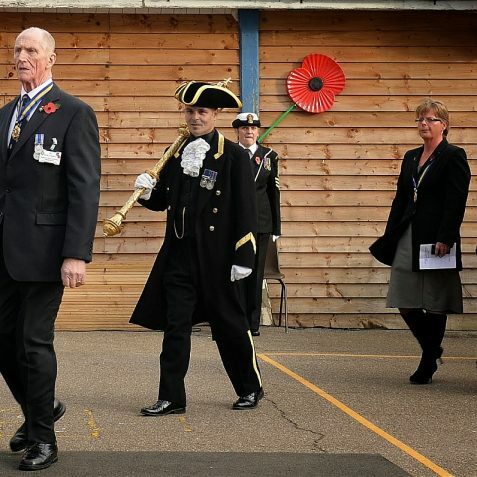 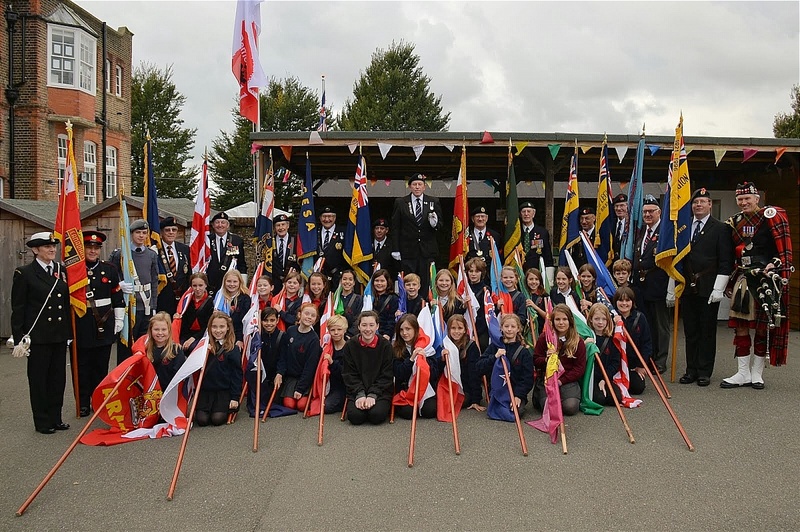 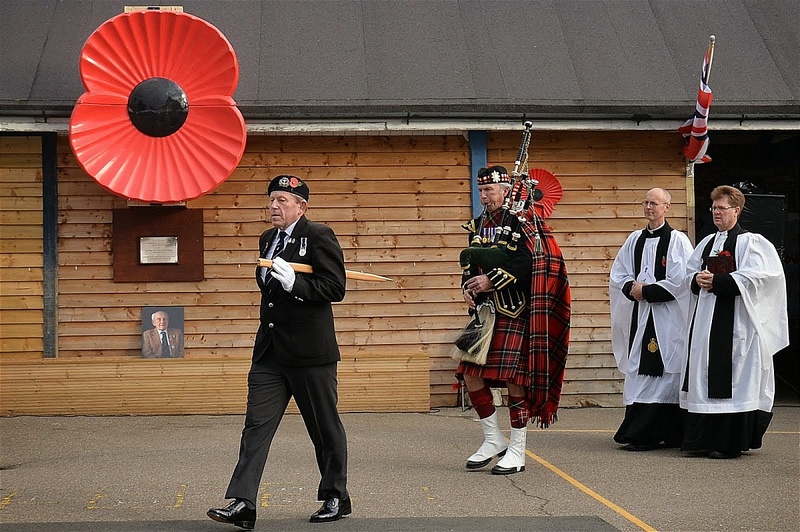 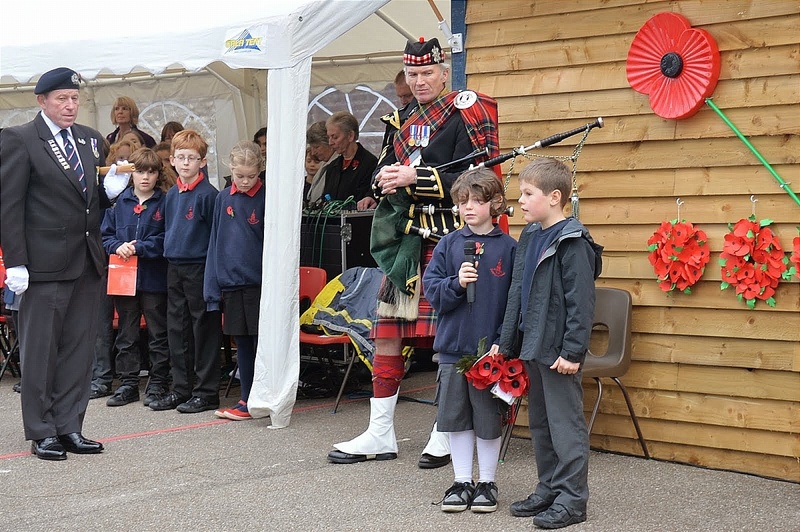 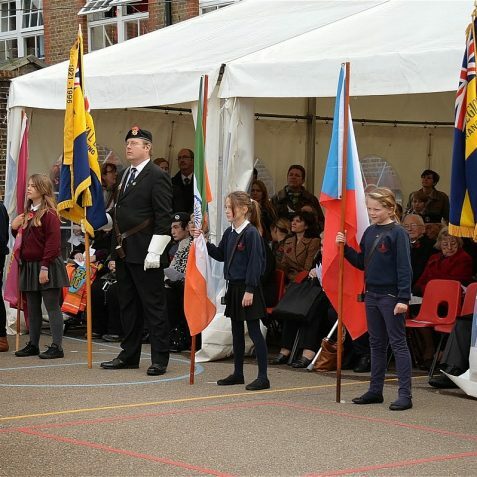 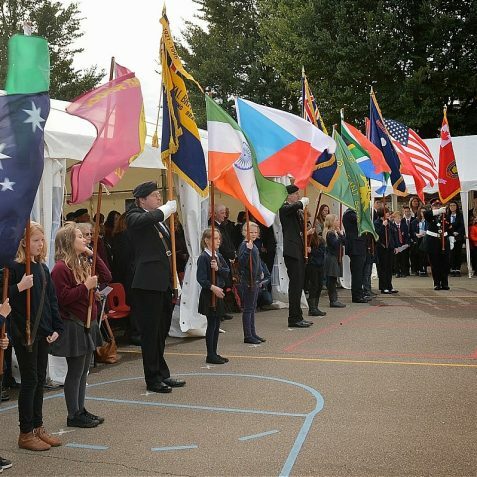 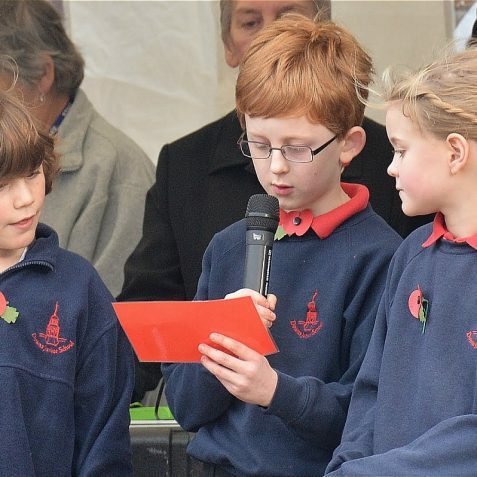 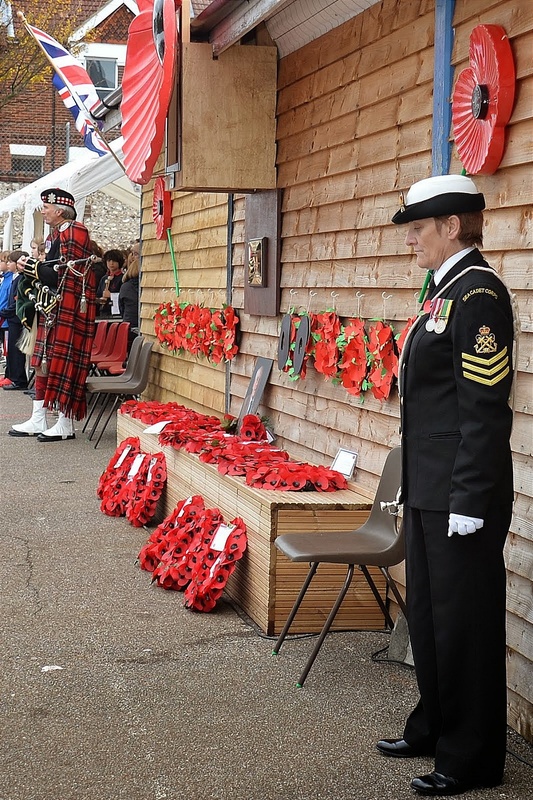 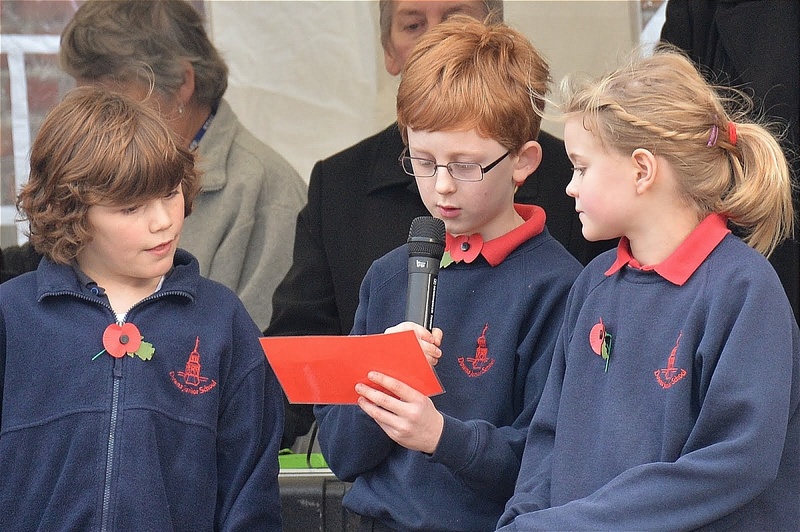 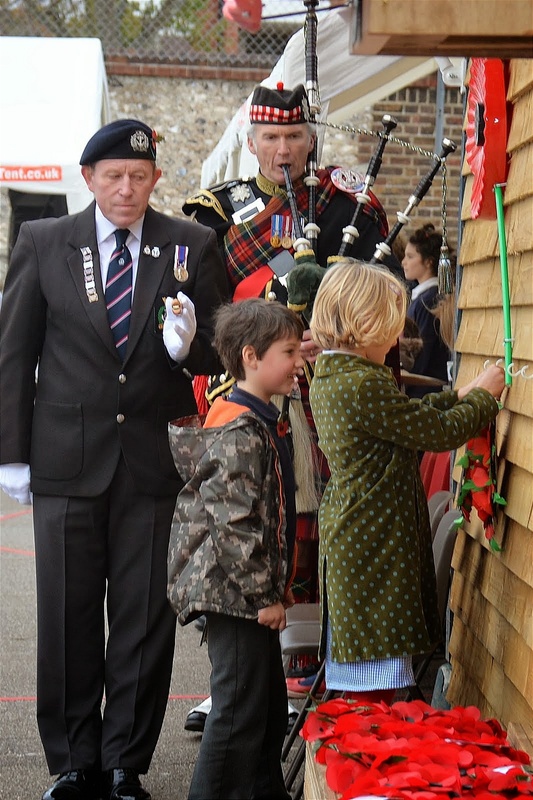 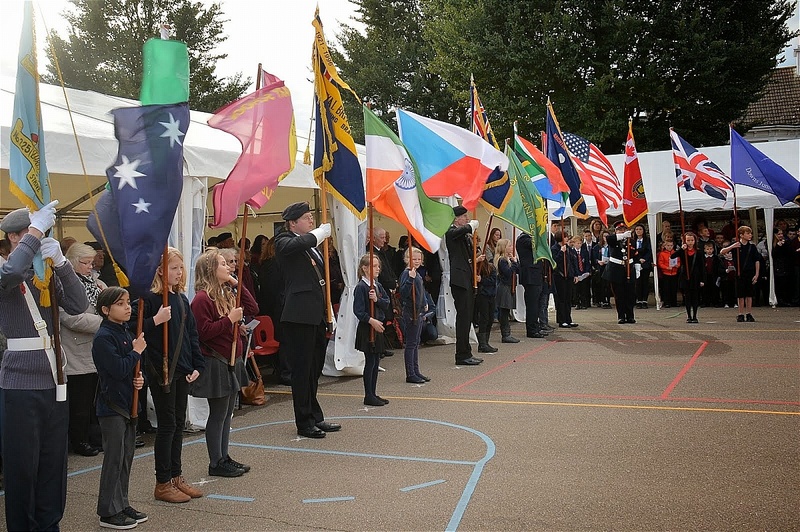 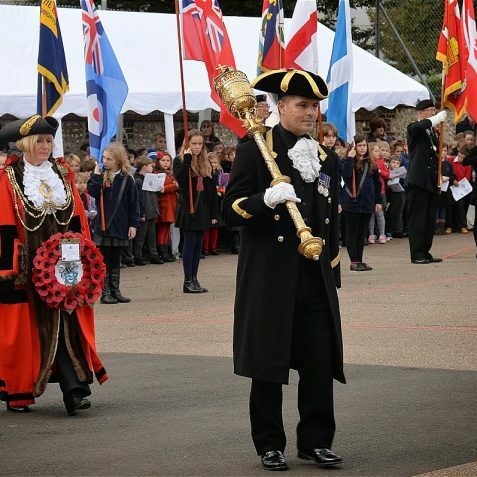 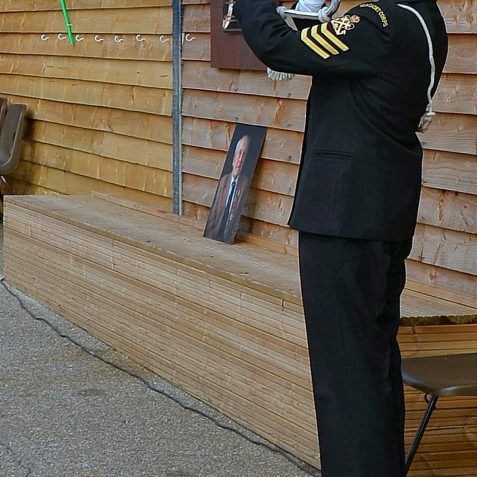 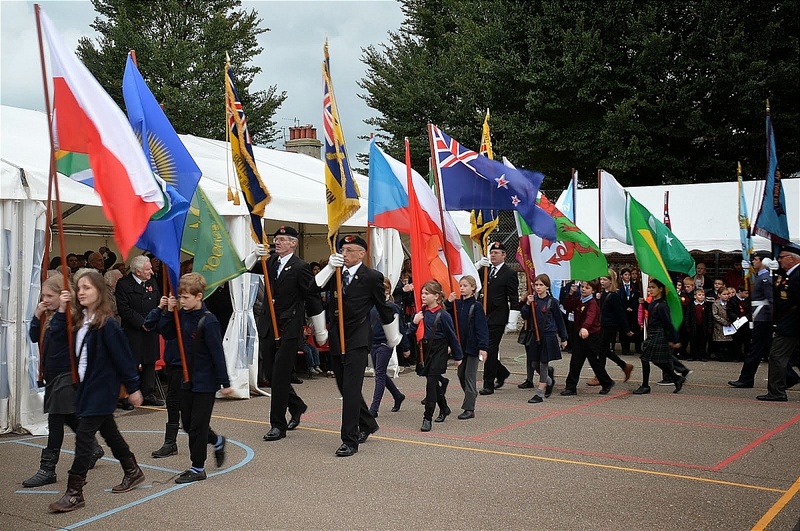 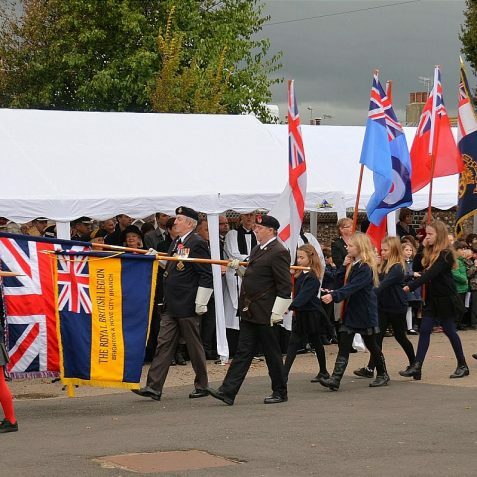 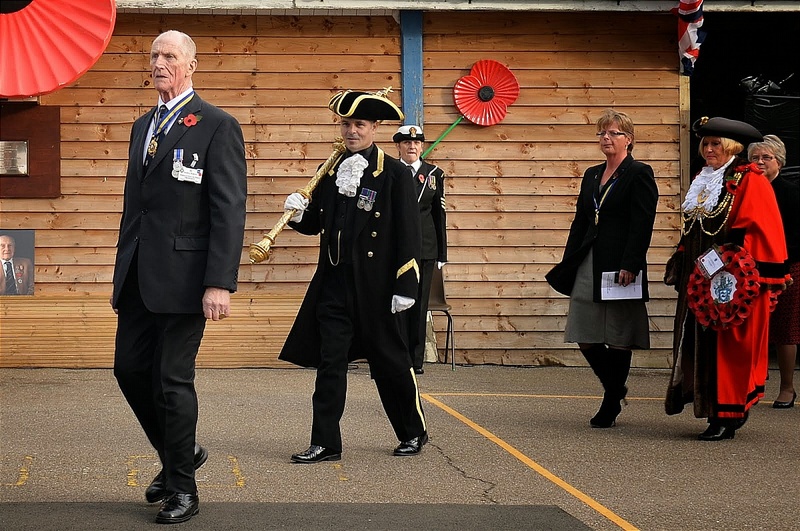 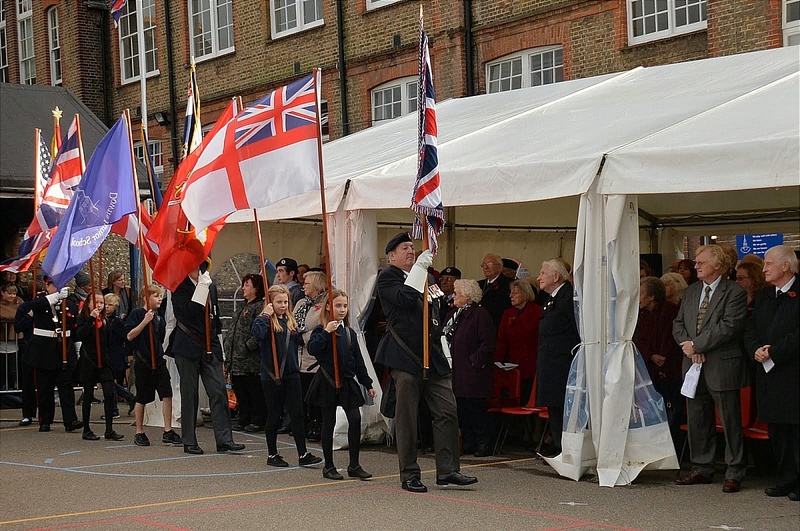 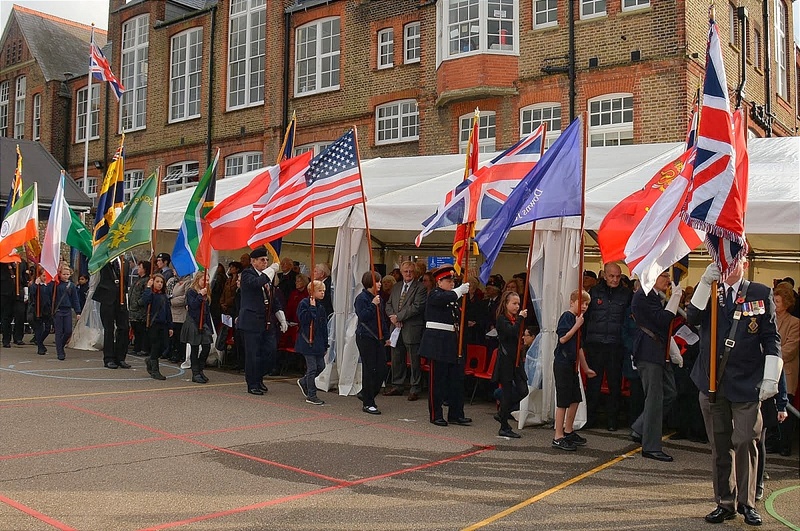 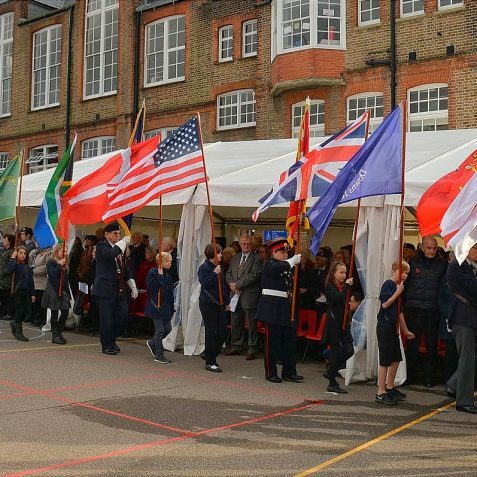 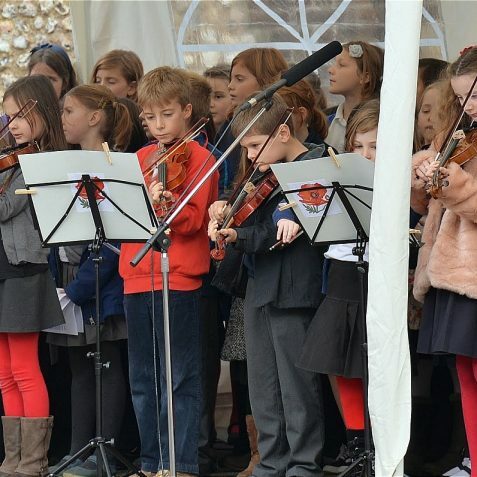 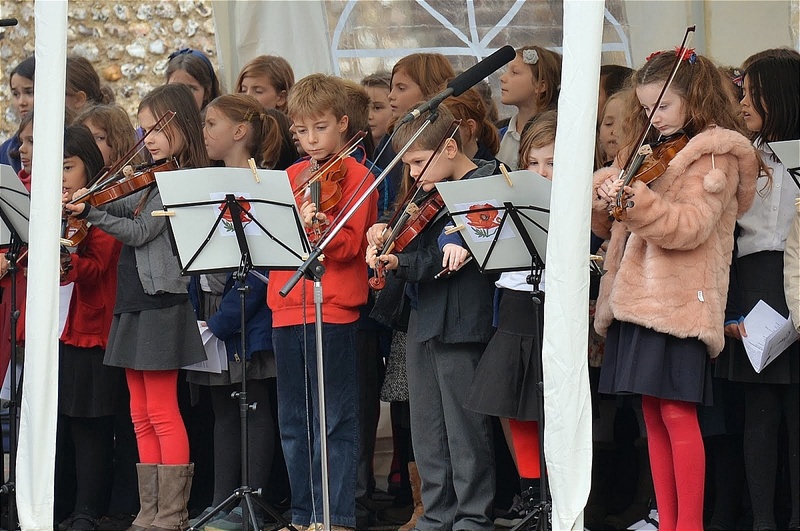 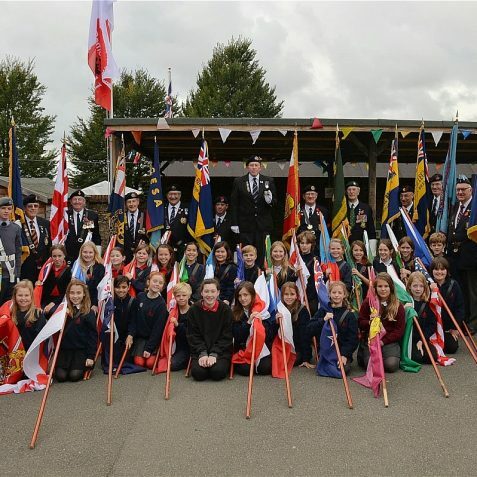 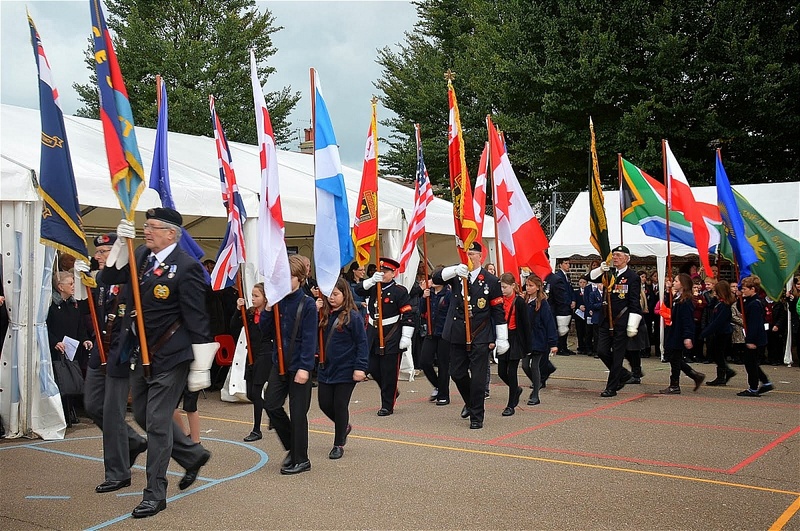 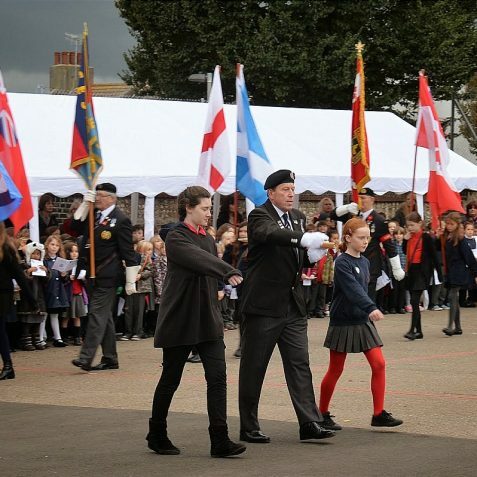 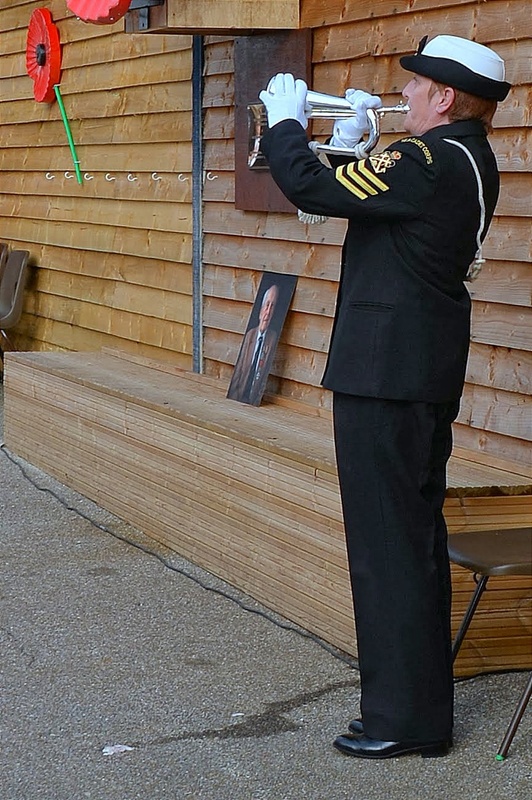 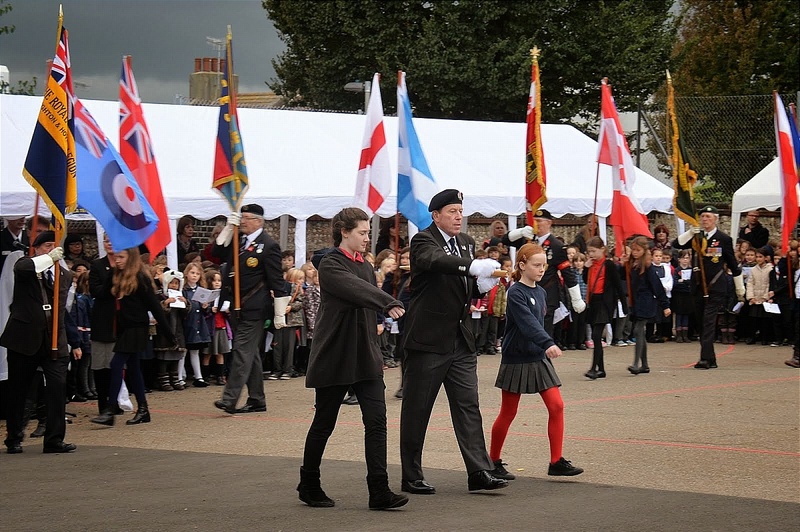 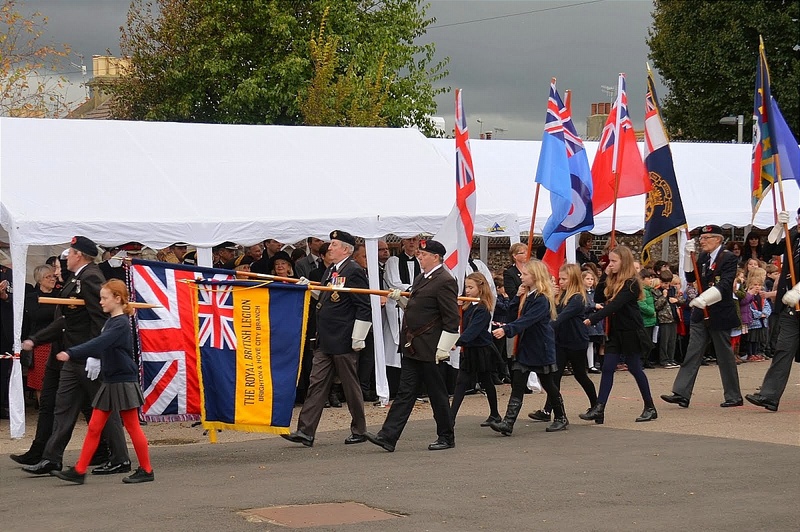 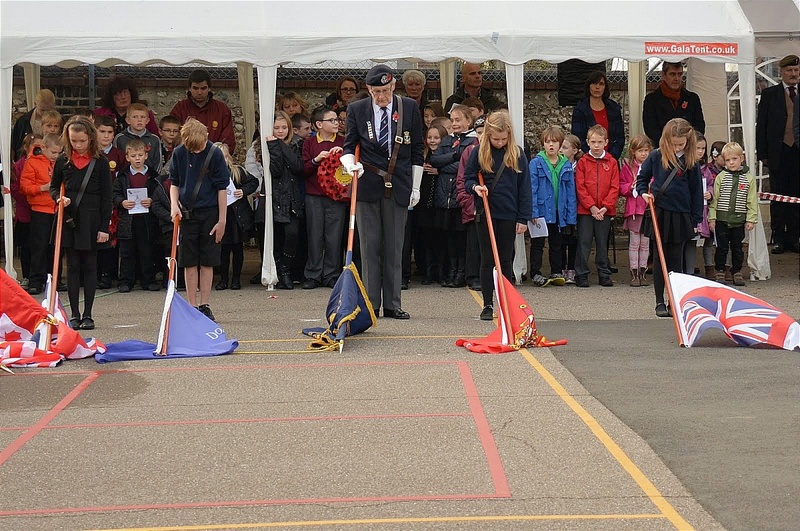 The children have an opportunity to participate in the service, not only by providing music and reading poems, but by acting as Standard Bearers alongside the ex-service men and women attending. 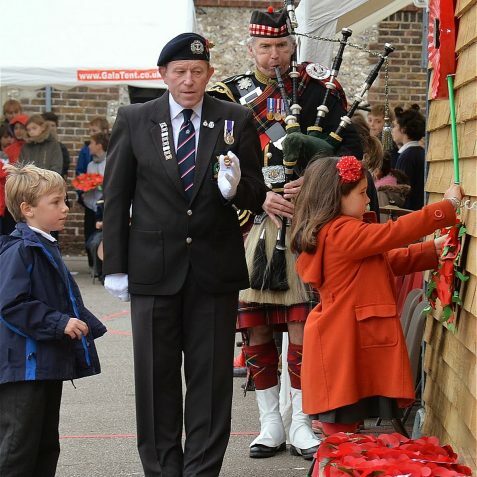 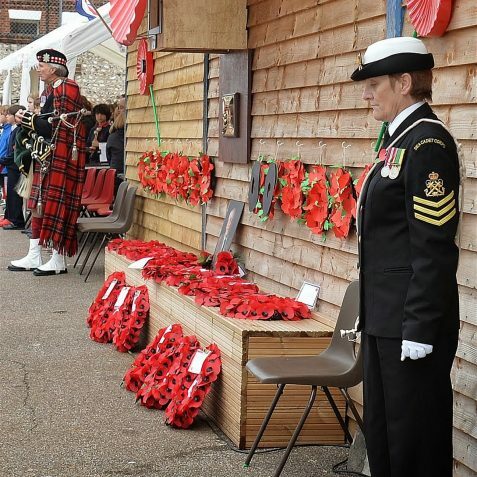 Poppy wreaths which had been made by the children themselves, were laid by a boy and girl from each class. 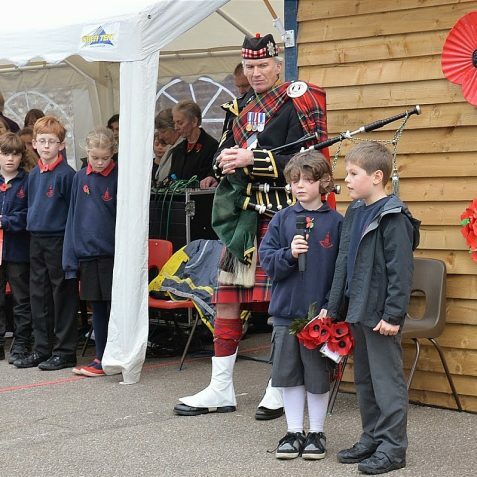 The service will surely be an occasion the children will remember in years to come.